Large-scale ocean circulation naturally results in low-oxygen areas of the ocean called oxygen deficient zones (ODZs). The cycling of carbon and nutrients – the foundation of marine life, is fundamentally different in ODZs than in oxygen-rich areas. In recent years, researchers have become increasingly concerned that deoxygenation of the oceans from greenhouse gas emissions will greatly expand the total area of ODZs over the next 100 years. This first expedition of 2016 will study how these ODZ areas are functioning to better predict the oceans of the future. 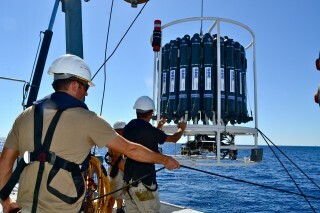 During this 28 day voyage, Principal Investigator Dr. Mak Saito from Woods Hole Oceanograhic Institution and other researchers aboard R/V Falkor will travel from Hawaii to Tahiti in order to describe the biogeochemical processes that occur within this particular swath of the ocean’s oxygen deficit zones. By doing so, they will contribute to our greater understanding of ODZs, gather a database of baseline measurements to which future measurements can be compared, and attempt to establish new methodology that could be used in future research on expanding oxygen deficient zones. 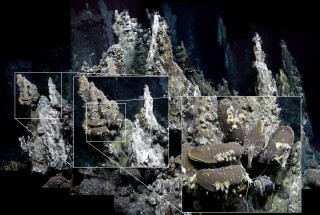 As mining interests increasingly focus on deep-sea polymetallic sulfides, there is a growing need to understand hydrothermal vent formation and processes linked to the unique animal and microbial communities that they host. Animal species from this unique habitat may serve as a reserve and source for maintaining regional biodiversity. Marine managers require data to better conserve and monitor activities proposed for other areas. Principal Investigator Dr. Tom Kwasnitschka from GEOMAR will be leading this expedition to create a series of 1-cm resolution 3D models of vent groups found in the North Fiji Basin and Lau Basin. 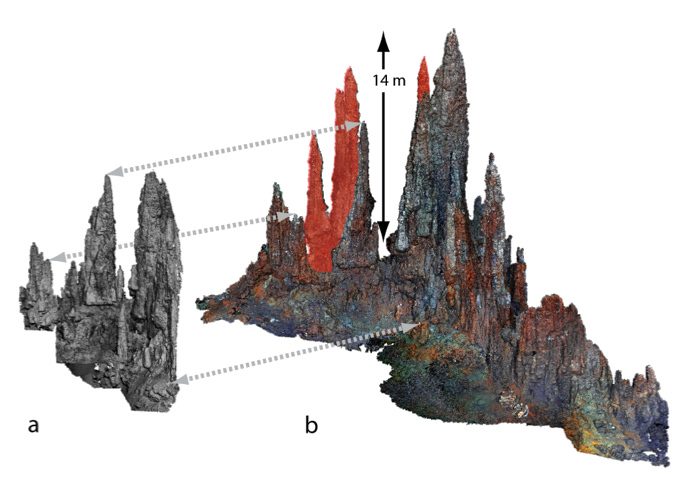 These models will be combined with layered environmental maps at unprecedented resolution that will help to define the nature of venting, fluid temperature/chemistry, and animal assemblages in these unique environments. The final product will be the first ever, open access, virtual model of diverse vent environments. This cutting-edge survey approach will spark new strategies of deep ocean floor research and create an immersive tool for public engagement. In April 2016, a team of interdisciplinary scientists will embark on a 28-day expedition onboard Schmidt Ocean Institute’s research vessel Falkor to explore rarely studied deep sea hydrothermal vents in between Fiji and Tonga (within the Eastern Lau Spreading Center). In the deep sea, hydrothermal vents are biological hotspots, harboring abundant animal communities. However, despite their ecological importance, there is still limited understanding of the natural processes in these unique ecosystems. The cruise, led by Dr. Charles Fisher from Pennsylvania State University and Dr. Peter Girguis from Harvard University, will examine the patterns and changes in biological, geological and chemical characteristics of hydrothermal vents. 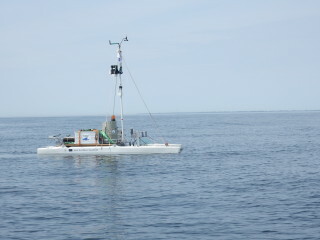 The team will conduct complimentary surveys, sampling, and laboratory experiments using state-of-the-art equipment and techniques; all of which will be facilitated by the remotely operated vehicle ROPOS. Expansive sonar mapping will be used to characterize the seafloor morphology and identify evidence of volcanic and tectonic events that alter the environment. High-resolution two- and three-dimensional imagery and advanced in situ chemical and temperature sensors will be used to document ecosystem changes at long-term study sites. 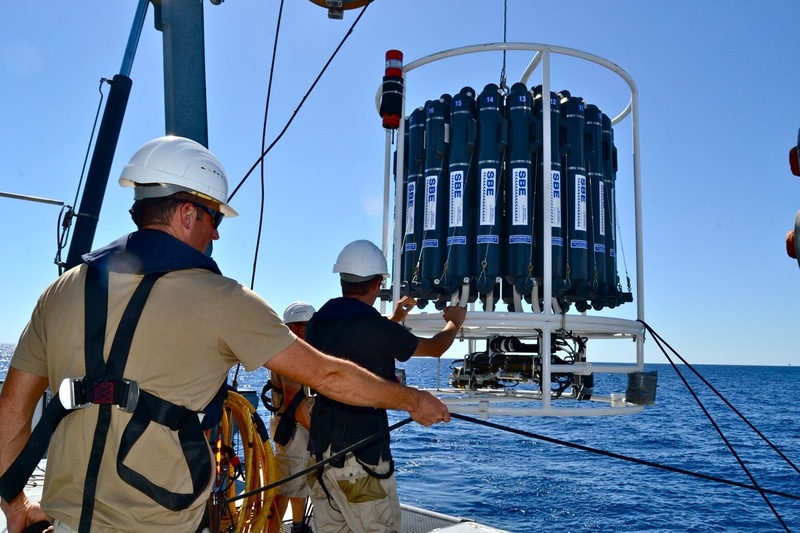 High pressure aquaria for collected specimens will be used to study the physiology of vent animals while molecular tools will elucidate vent connectivity and population dynamics. Better understanding of this environment is important as the potential impacts of the newest ocean threat, industrial deep-sea mining, remains poorly constrained. The team anticipates that the results from this study will inform impact assessment protocols and policies at deep-sea sites that may be the target of future mining. 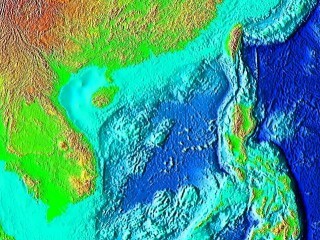 The South China Sea is adjacent to a region of rapid land use and is strongly influenced by riverine inputs, including a seasonal offshore jet that transports the Mekong River plume to the sea. Land run off has caused concern over eutrophication that could lead to ecosystem changes. These factors make this area an excellent model for studying terrestrial ocean linkages, nutrient dynamics, and the potential impact of land use change on marine ecosystems. Due to the remote location this area has been studied relatively little, however, this June and September scientists will head to Vietnam to better characterize the circulation and biological productivity of the Mekong River that leads to the South China Sea. This expedition will take place over two different legs during the late spring and late summer to correspond to the early and late phases of the Southwest (Summer) Monsoon. The science team led by Principal Investigator Dr. Joseph Montoya from Georgia Institute of Technology, will use high resolution modeling to explore the temporal and spatial evolution of physical and biogeochemical interactions under different environmental conditions. Important bioelements such as Nitrogen, Carbon and Phosphorus will be the focus of the sampling activities. Due to the speed and magnitude of anthropogenic changes in the Mekong basin, this expedition may be one of the last opportunities to study this region before significant changes in nutrient and organic matter loading occur. These findings will also serve as a benchmark for evaluating future changes in land-ocean coupling in a tropical environment. In 2016, the first international, multidisciplinary research cruise to increase understanding of the role of the sea surface microlayer (SML) will take place in October as R/V Falkor sails from Darwin, Australia to Guam. The SML works as a boundary layer between the ocean and atmosphere; and has been widely ignored by past and current research efforts. The science team led by Principal Investigators Dr. Oliver Wurl, Dr. Michael Cunliffe, Prof. Dr. William Landing, and Prof. Dr. Christopher Zappa is interested in the exchange of trace elements and organic compounds at this layer, and will use advance techniques to characterize sea surfaces, creating a new measure for air-sea exchange of climate-relevant gases and heat, and explore the sea surface as habitat for complex microbial communities. A collection of robotic platforms and vehicles, including autonomous aerial and remotely controlled surface will be used to collect data. Scientists will investigate these processes within a framework that incorporates recent understanding of the SML as a unique habitat for microbial communities and the significant role that they play in affecting air-sea interactions. This study has widespread and significant impact on the science of marine biogeochemistry and climate-related processes at a global scale. A map of the planned survey area for the Hydrothermal Hunt at Mariana expedition. Though most famous as the home of the deepest spot on the planet, the Mariana subduction system is also an valuable natural laboratory for testing ideas about what governs the distribution of animals at hydrothermal vent systems. That’s because the area has a wide range of habitats, including the very deep trench, a shallow to mid-depth volcanic arc, and a mid-depth to deep spreading back-arc. 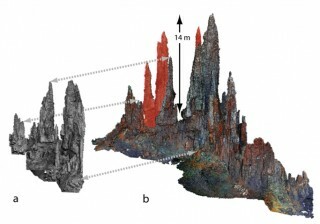 Of these, only the volcanic arc has been the focus of extensive hydrothermal vent exploration and research, resulting in the discovery of 20 hydrothermally active seamounts and over 20 new species. 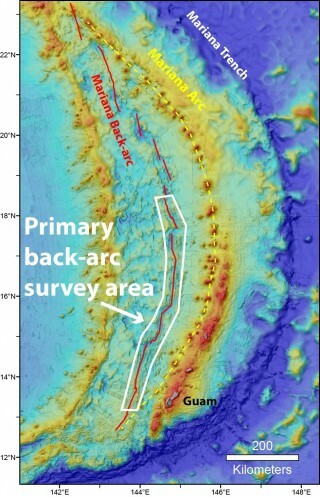 In contrast, more than 600 kilometers of the Mariana back-arc remain completely unexplored. That will be the focus of this expedition. The work will involve two main components. 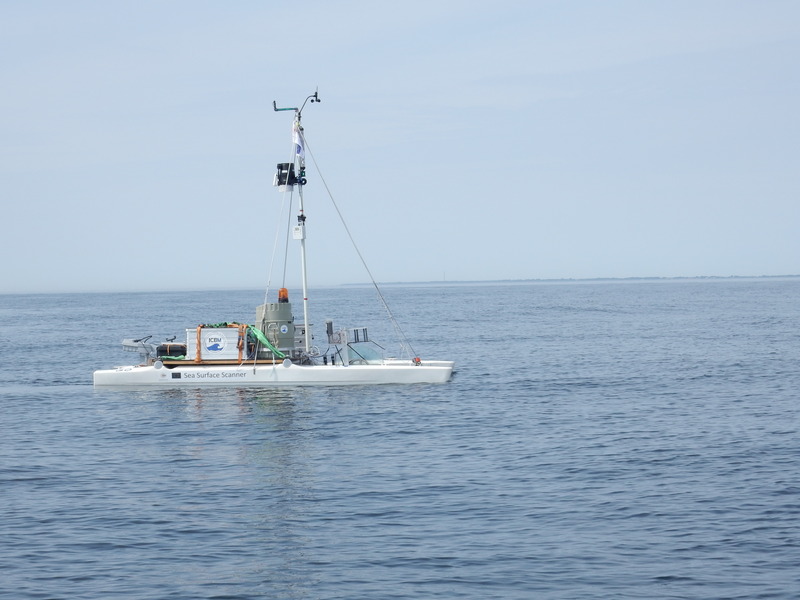 First, the team will use an Autonomous Underwater Vehicle (AUV) and other techniques to locate and characterize hydrothermal systems, expecting to find 5 to 10 new sites. They will then return with a remotely operated vehicle (ROV), to study the vents discovered. One basic goal will be to catalog the life forms found at these vents, their affinities, and their relation to the regional biogeography. There are likely to be some surprises given how little exploration has been done on the back-arc. Working at the handful of back-arc sites previously studied, for instance, researchers found huge hairy snails never before seen. The team led by Dr. Joseph Resing from the University of Washington, will also be examining the chemistry and geology of the vents, studying their microbiology, and testing ideas to explain the substantial biological differences between the volcanic arc and back-arc vents.